Program will be every Tuesday Starting May 22nd, 2018. 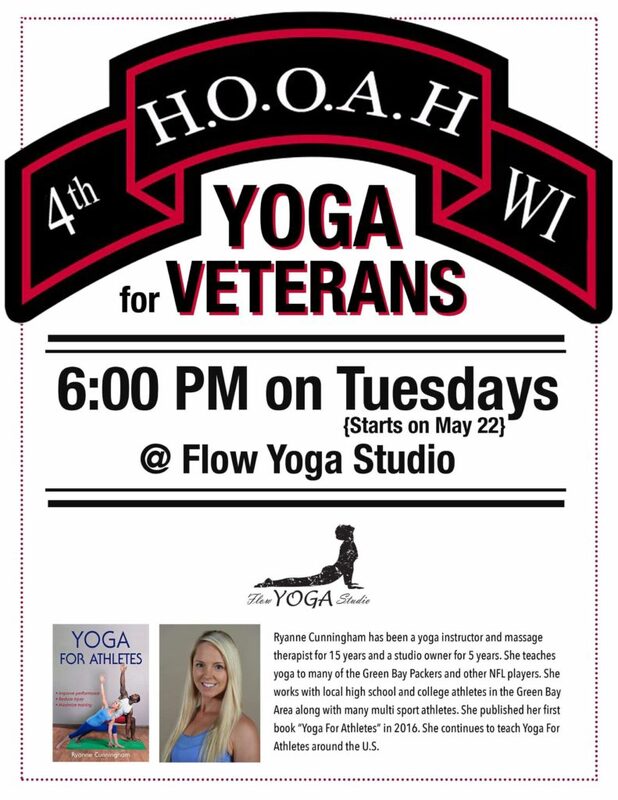 Yoga is restricted to the first 50 Veterans and Significant others signed up (form is below). Cost: Free to Veteran (Please bring proof) and $5 for Significant other. Significant other will be required to pay $5 at the door.